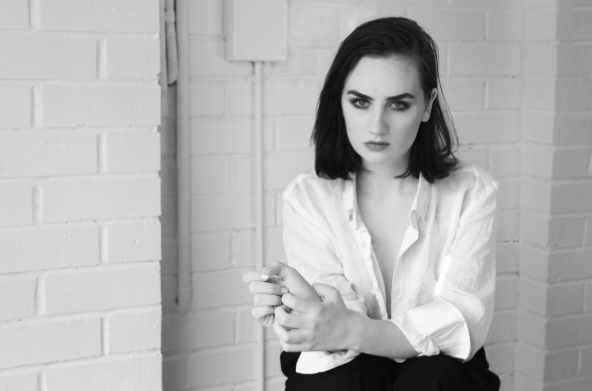 Fresh from the release of her single 'Low Blows' recently, Meg Mac has announced massive news that she will be dropping her new album (also called Low Blows) on July 14th. She has also announced news of a tour, including stops in Melbourne and Sydney. On the album, Meg said in a statement, “I played a lot of piano on the album - Austin Jenkins, Josh Block, Robert Ellis and Sarab Singh added guitars, keys and bass and drums. Overall I wanted it to really feel like I was just singing in the room to you. So a lot of the vocal performances are live and unedited, it is hard to leave mistakes on a record but I think it was important to do that”. Before playing shows in Australia, Meg is set to commence a US tour in June, including New York’s iconic Bowery Ballroom. Her tour will also include Chicago and San Francisco, as well as Firefly Festival in LA. Listen to 'Low Blows' below, and find out where you catch her in Melbourne and Sydney.